Scottish Independence – can we have some Plan Bs please? 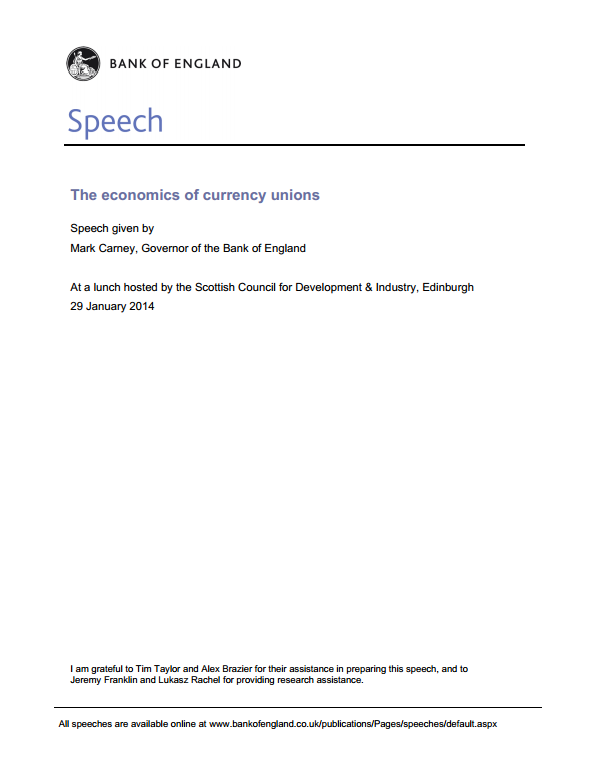 The Governor of the Bank of England, Mark Carney, met First Minister Alex Salmond yesterday and spoke at a Scottish Council Development and Industry meeting about the economics of currency unions. He stressed he was talking ‘technically’ but what he said has led to much discussion in the media. The risks and challenges of a shared currency if Scotland votes for independence have been at the forefront of comment. Those wanting to retain the Union in one form or another should also be thinking about some Plan Bs. In their case it’s the answer to the question ‘What further devolution would you propose if you win the referendum?’ It seems clear that many people in Scotland want more powers for the Scottish Parliament if there’s a ‘No’ vote – see for example the analysis by What Scotland Thinks. Who should be doing this thinking and setting out their Plan Bs? I think not the Yes and Better Together (No) campaigns. They are both alliances of political and other groups who have different views on many subjects. The SNP and Scottish Greens for, example, don’t agree on the currency question. It’s the main political parties – the SNP on the one side, the Conservatives, Labour and Lib Dems on the other, in some combination – who should be developing some options. And if I were to add a special plea for those who want to keep the Union it would be not to make your response a pragmatic one just to satisfy the Scots. Go back to some first principles about what sort of United Kingdom you want, and apply your prescription to all four countries. That sort of reform is much needed … assuming the UK stays as one.